“Life should not be a journey to the grave with the intention of arriving safely in a well preserved body. 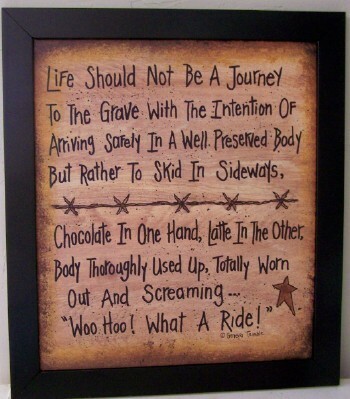 But rather to skid in sideways, chocolate in one hand, latte in the other. Body thoroughly used up, totally worn out and screaming ‘Woo Hoo! What a Ride'”.